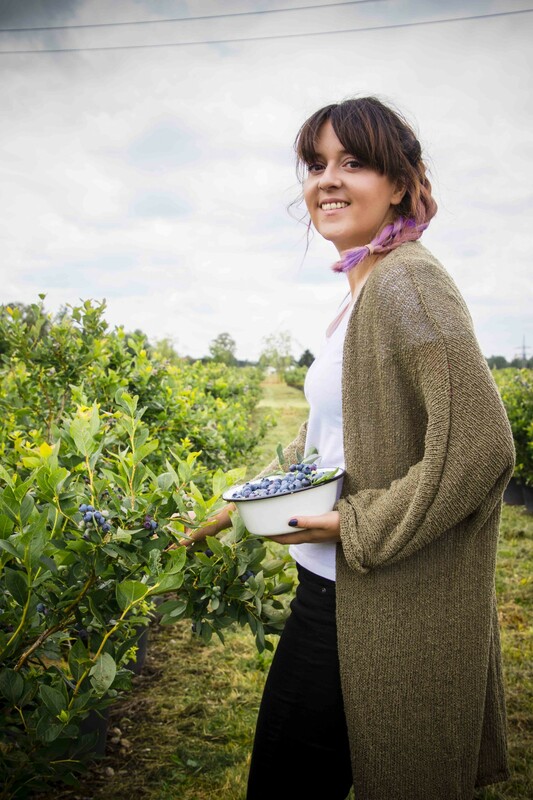 When you think you’ve tasted everything, you can not discover any sweet that is better than any of the ones you already have on your favorite list. Then, just then, you discover this wonder and overwhelm you with its delicious taste, exquisite texture and amazing aroma. 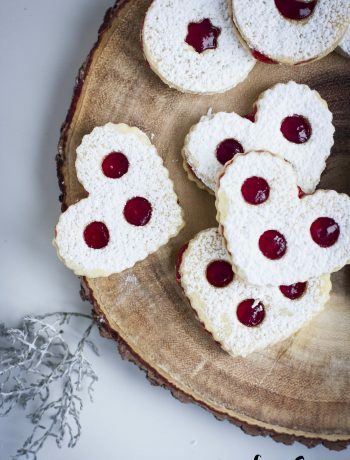 And what must be special about a sweet like this to climb to the top of your list of favorites? Well surprisingly; nothing! 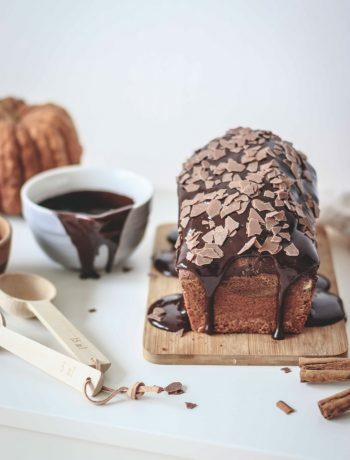 Brioche dough with Nutella and chopped hazelnuts is all the secret that hides this delight. Chick Rupert is back!!!! 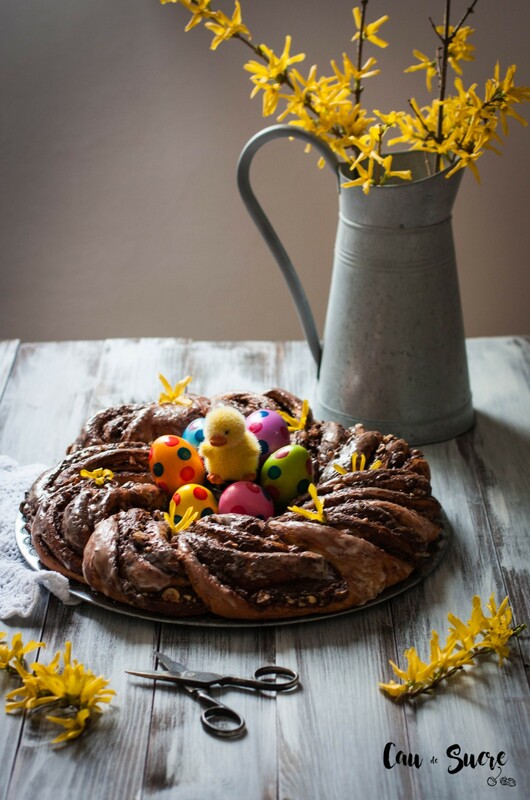 You may remember him from the photos of last year for the recipe of these Easter Bundtlettes. And you have seen how well he poses, he is such a good a model climbed on his pedestal! 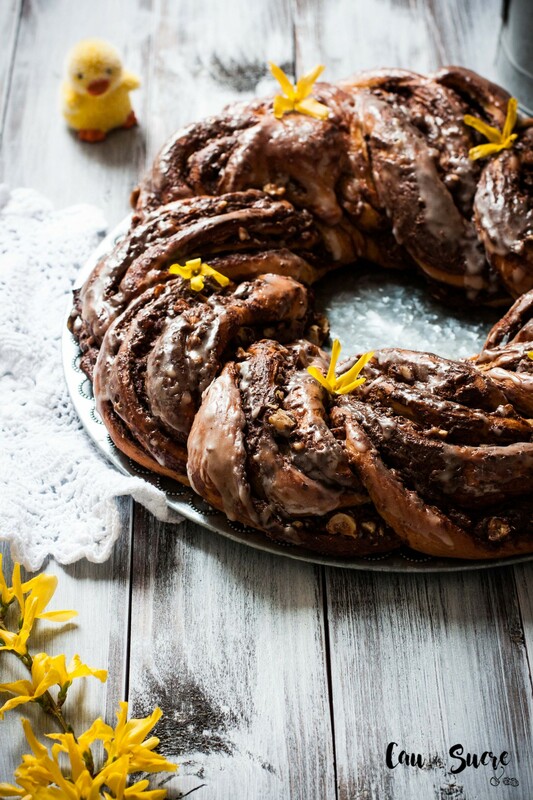 This year Rupert has craved something with chocolate, so I have prepared him this braided Nutella bread, but in the form of a crown that is much prettier and very Easter style. Braided breads are pretty well known. Here in Germany they are very typical, especially stuffed with marzipan, poppy seeds, walnut paste or other paste based on nuts, or sometimes only with sugar and cinnamon. But I, since I am not very fan of marzipan and those things and Rupert wanted chocolate, decided to put Nutella instead. Tones of Nutella … as much as I could, I put Nutella with a spatula as big as my hand and I can assure you that it was the happiest day of my life. 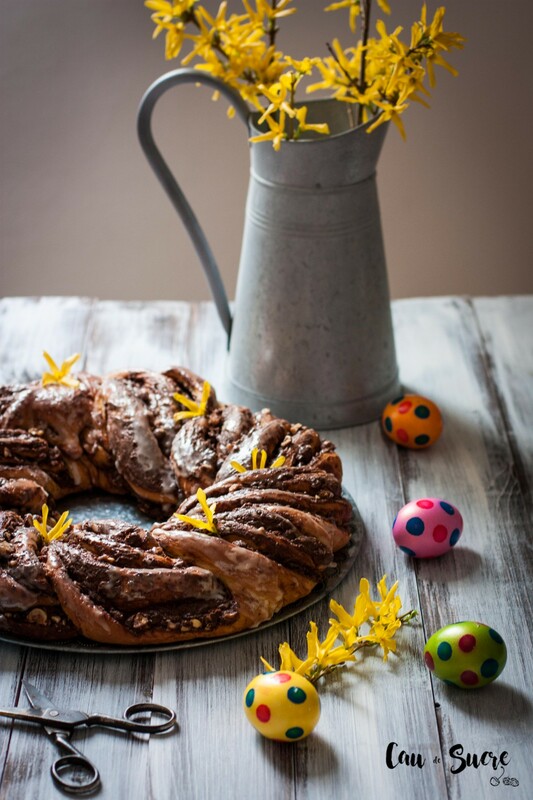 And, as here, Easter crowns (Osterkranz) are very typical because with only a movement a braid brioche becomes a precious Easter crown and we already have a recipe to celebrate these holidays. So if you are looking for recipes of sweets for these days, here is a very easy and sure to like everyone. The original Brioche dough recipe is probably from the most famous blogger in Germany’s Sallys Tortenwelt. 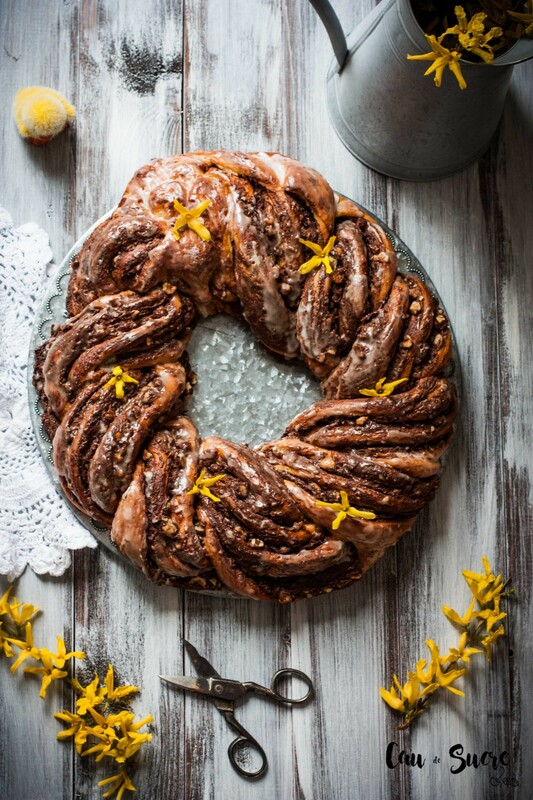 She also has a version of the recipe on Youtube, you can watch it even if you do not understand a word only to see how she makes the braid and how she gives it the shape of a crown. I have tried to explain in the recipe but it is difficult to describe it with words . Oh, I wanted to tell you a curiosity, the eggs painted in the photos are real eggs. They are already hard-boiled and painted eggs that sell here in all supermarkets. They are usually just colored, but when Easter comes around, they decorate them a bit like those. 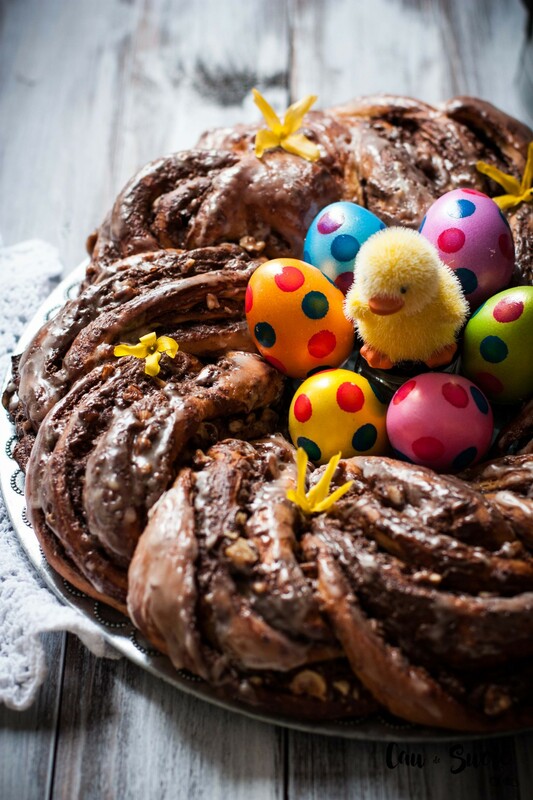 I do not know, I find the most curious, and also is what they use here to decorate the Easter cakes like this one, they put hard-boiled eggs (a bit peculiar not?) So I have done the same, you have to respect the traditions!! And now Rupert and I let you enjoy the recipe and wish a very nice Easter to everyone! Dissolve baker's yeast in warm water. In the bowl of the kneader or in a large bowl if you do it by hand, put all the rest of the ingredients. Add the dissolved yeast in water and knead well until you have a dough that peels off the walls of the bowl. If using a kneader, knead with the hook attachment for at least 7 minutes. Make a ball with the dough and put it in a bowl covered with flour. Cover the bowl with a kitchen towel and let the dough ferment until double its size, the fermentation time will be between 30 and 60 minutes, depending on the temperature and humidity of your house. Preheat the oven to 190ºC. Remove the dough from the bowl, knead a little with your hands so that it loses its strength and stretch it with a roller until you have a rectangle of about 40x60 cm. 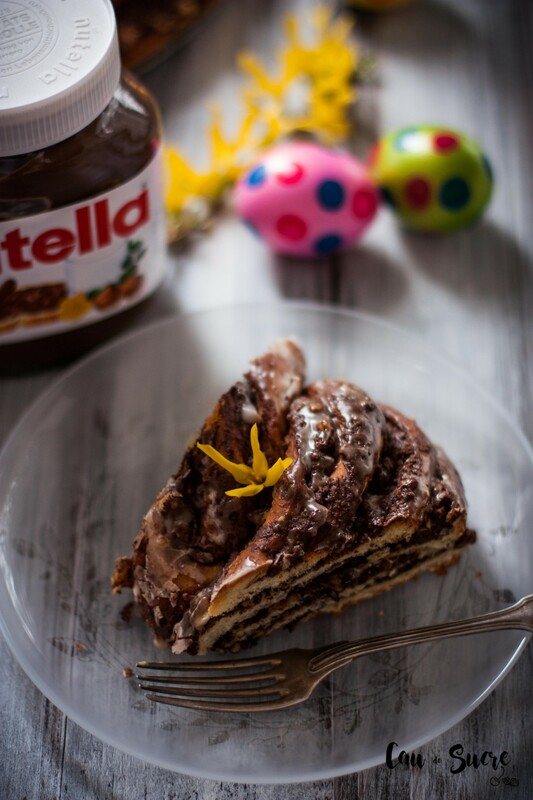 Spread the whole dough with Nutella to taste, I have put a guiding weight, you can put as much as you want. Spread the chopped hazelnuts over the Nutella. Roll the dough over itself from the longest side. Cut the roll in half and braid it, crossing one side over another and trying to keep the cut side up. When all is centered, join one end to the other to give it a crown shape. Place on a tray covered with baking paper and bake for about 30 minutes, until the surface is browned and the smell coming out of the oven makes you faint of hunger. 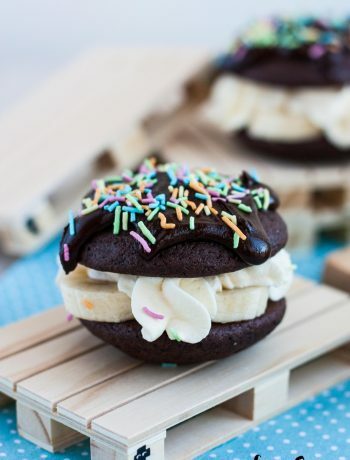 Banana Split Whoopie Pies Nutella Layer Cake - and Happy Birthday to me!! And this is me! Crazy cat&cakes lady... 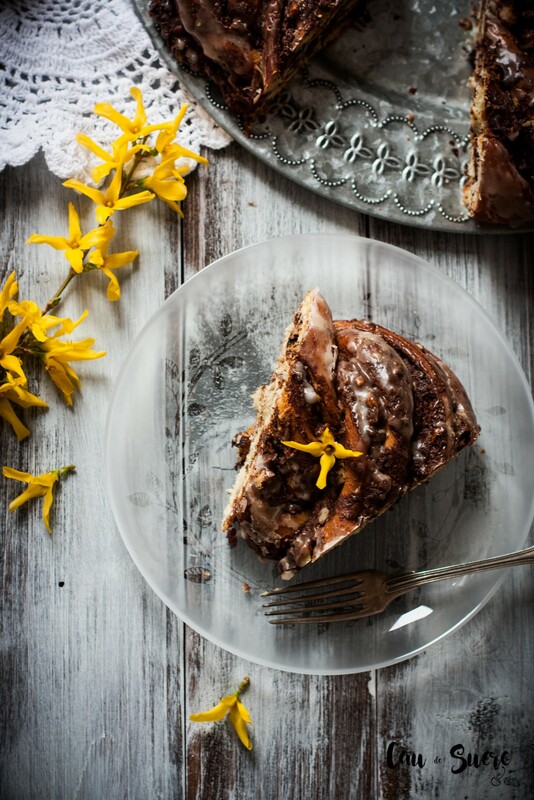 In this Blog you'll find of kind of swwet recipes. Ah! And lots of photography! Come in an see that my sweet dreams are made of "sucre". © Copyright 2016 - Cau de Sucre. All Rights Reserved.